CHINA. City of Chongqing. 2009. 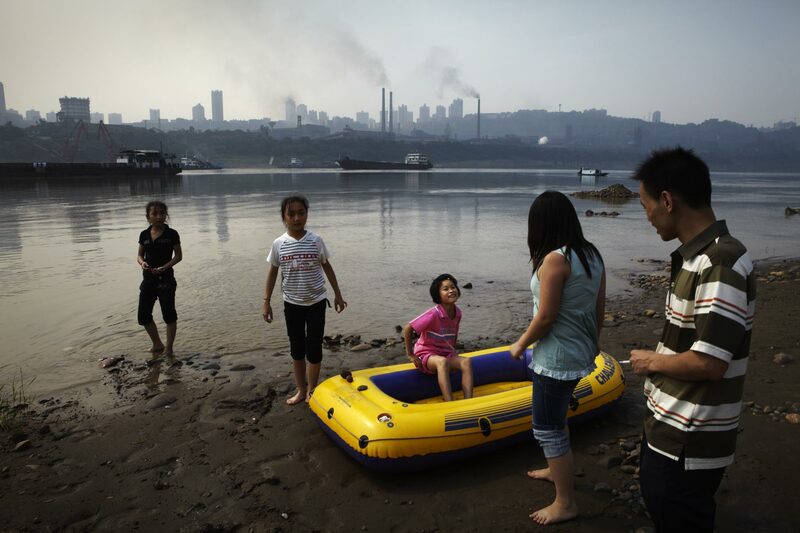 Opposite the Chongqing Iron and Steel Factory on the bank of the Yangtze River, a family who were attending a wedding in the opposite neighborhood of Xian Fing Village, relaxes with a blow-up dingy and swimming. The Yangtze is heavily polluted at this point in its course.